Florida cities have been ranked among the worst in the nation for pedestrians and bicyclists, and three years ago the Florida Department of Transportation (DOT) responded with studies into road safety as well as potential design changes to make streets safer for all users. One of the changes Florida DOT is considering making is narrowing lanes. According to some experts, narrower lanes encourage drivers to slow down, which makes streets safer for pedestrians and bikers. In Miami Beach, Alton Road is one of the roads that is being redesigned with narrower lanes. Traffic accidents in Miami Beach and other cities can occur due to busy downtown cores and due to suburban street design, which is often created for cars rather than pedestrians. One problem is that downtown urban streets are often designed with the same features as highways, which just encourage drivers to go faster. Part of the reason is because much of Florida was developed during the boom in the first few decades of the 20th century. At the time, there was less of a focus on walking and bicycling and more of a focus on making streets accessible to cars. Some communities were built largely for car traffic, with less thought to other forms of traffic. In many cities in Florida, standard lanes are 12 feet wide. Florida DOT will be changing some of those lanes to 10-11 feet to slow traffic down and prevent crashes. 12-foot lanes would remain on higher speed streets and in rural areas. Other design changes Florida DOT is considering include adding more roundabouts and reducing some six-lane roads into four-lane roads. The roundabouts would potentially help reduce traffic congestion, which is an important factor if some roads will be reduced to four-lane roads. There is clearly a need for change. In 2014, Smart Growth America ranked Orlando as the most dangerous city in the country for pedestrians and Miami was fourth. Four Florida cities made the list this year. Florida residents are not surprised by this. 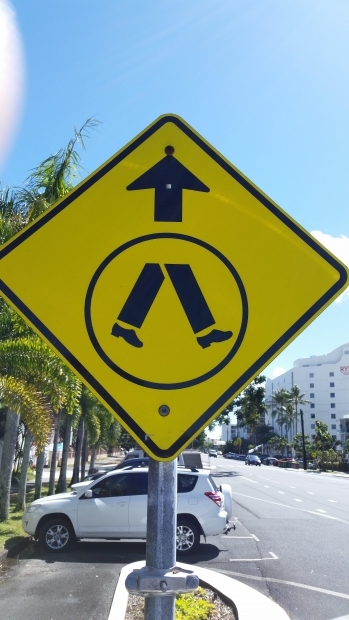 The number of pedestrian accidents in Miami Beach and other cities remains high, and many pedestrians and bicyclists note that they feel worried about their personal safety when they head out on the streets. Often, they cite distracted drivers and reckless drivers as part of the reason for the hazardous nature of the road. Drivers, on the other hand, often blame pedestrians and bicyclists, saying that these users of the road are not obeying traffic signals and rules. Finger-pointing isn’t helping, so hopefully the design changes will have a positive impact on reducing the number of pedestrian and bicycle accidents in Florida communities. While Florida DOT has stated that it remains committed to pedestrian and bicycle safety, the agency says that re-designing roads and streets will take some time, so it may still be a while before Florida cities are no longer on the Smart Growth America annual Dangerous by Design report. Have you been injured by poor road design in Miami Beach or another Florida community? You have legal options that allow you to seek compensation for your lost wages, car repair bills, medical costs, and more. To find out more, contact Flaxman Law Group for a free, no obligation case review.